Delaney King is a freelance digital artist, sculptor and teacher based in Melbourne, Australia. 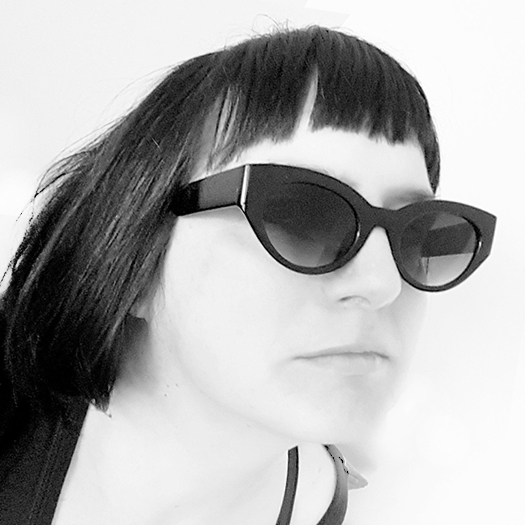 With over 20 years experience in CG, her titles include films Where The Wild Things Are and video games Unreal Tournament 2004, Dragonage: Origins, Dungeons & Dragons Online: Stormreach, Civilization IV, Fury, Mythos and many more. The following biography is from the MCV Women in Games entry by Joel Van Daal. "A feature of the industry for over 17 years, King has produced some of most iconic characters and creatures in gaming. An industry main stay, King has produced character and creature art for many AAA titles, such as Dungeons & Dragons Online: Stormreach, Warlords: Battlecry and most recently Lord of The Rings Online. She has also made cinematic characters for Dragonage: Origins, Civilization IV, Fury, and the God of War: Chains of Olympus TVC. Her work bringing 'Skaarj' for Unreal Tournament 2004 garnered her to international attention. Delaney rose to prominence as art director and lead artist at Bigworld/Microforte, (now Wargaming.net) where she headed up the Sydney team for seven years. Delaney moved to counter this problem by writing the first curriculum in Australia designed specifically to give students industry standard entry level skills. Over the next decade, Delaney followed this with a constant stream of masterclasses, school visits and conference lectures. She even held the first ever art lecture at the inaugural Australian Games Developers conference, where she caught the eye of Discreet (Autodesk). She became their Game Development Consultant, where she toured the world lecturing, doing live shows and helping new studios set up their art pipelines. Delaney has also worked as a lecturer at AFTRS (The Australian Film Television and Radio School), has held several papers at SIGGRAPH and GDC, and produced a best selling training DVD for Turbosquid. The highlight of her career was appearing as special guest on stage at The Californian Max User Group's 3DSMax 7 Launch, where she was challenged to show off her infamous speed modelling skills by creating a cinematic quality creature live during the show. Since returning to Australia, Delaney has taken up the torch battling for acceptance for transgender and intersex people in the industry. She provides free LGBTIQA consultation to schools and studios, and acts as a personal mentor for transgender students. The below is a list of the published title's King has worked on. Delaney's vast and stunning portfolio combined with her passion and drive as a voice for women and LGBTIQA makes her an inspiration, and a moral barometer that the industry itself could take many queues from . "